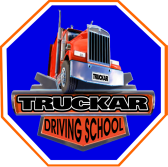 Truckar Driving School, LLC, is a vocational school offering courses in professional tractor trailer, bus and car driving. We are looking for qualified, experienced CDL Class A, Class BP/BPS and/or CLASS D drivers. We will train you to become a certified NYS Driver Instructor. Come join us for a rewarding experience of sharing your knowledge of CDL Driving with students looking to enter this field. We are a 7 day a week operation. The position will require one weekend day. A typical work week would be Sunday – Thursday (off Friday and Saturday) or Tuesday – Saturday (off Sunday and Monday).